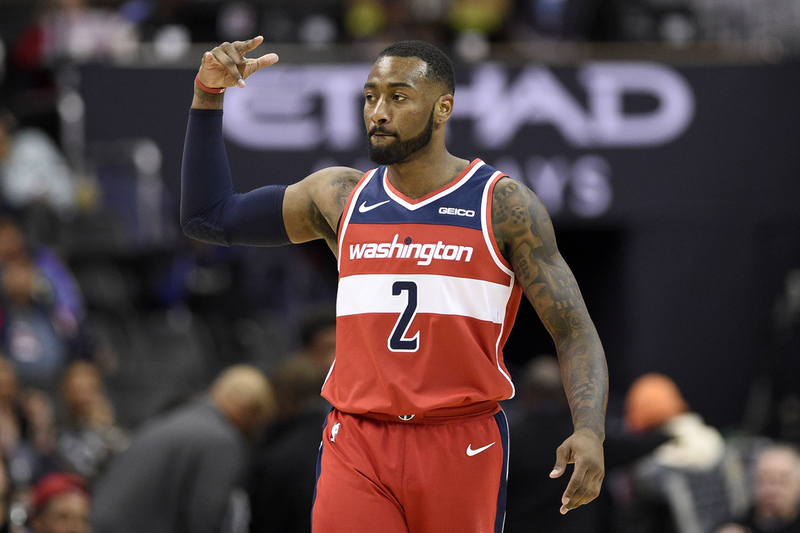 WASHINGTON (AP) — Since starting the season with seven losses in eight games, the Washington Wizards have stabilized. They’ve gone 8-7 since then, but haven’t been able to make up ground in the standings. After the Wizards’ 102-88 victory over the Brooklyn Nets on Saturday night, they improved their home record to 7-5. But, they’ve lost nine of 11 on the road, and with a four-game trip beginning Monday night in New York against the Knicks, they know they’ll have to play much better away from the Nation’s Capital. “The biggest thing for us is putting a streak together — regardless of whether it’s on the road or at home,” Beal said. The Wizards won handily, their fourth double-digit win. John Wall scored 30 points, Beal added 22. It was Brooklyn’s sixth straight loss. At 88 points, the Nets — coming off a double-overtime home loss to Memphis on Friday night — had their lowest-scoring game of season. It also was the lowest total the Wizards have allowed. Nets: Suffered their sixth loss without a win in the second hall of back-to-backs…. G D’Angelo Russell, who attempted 70 field goals in the previous three games, was 3 for 8 from the field. Wizards: F Jeff Green was out with lower back spasms. … Tomas Satoransky got his first start of the season. … F Otto Porter returned after missing Friday’s game due to personal reasons. … DC United standout Wayne Rooney was on hand for the game. … Didn’t attempt a free throw until 5:01 remained in the second quarter. NO LEVERT FOR NETS: G Caris Levert suffered a scary dislocation of his right foot on Nov. 12. He had been Brooklyn’s leading scorer in the team’s first 14 games, but since then they’ve lost eight of 10. “We lost one of the best shooters in the NBA,” Spencer Dinwiddie said.